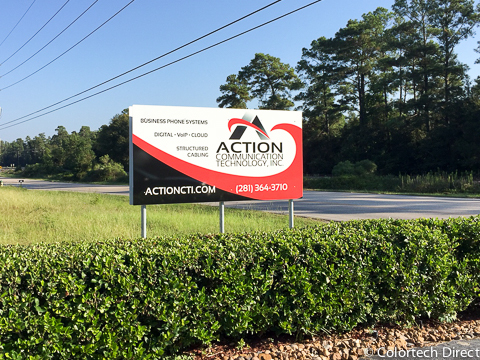 Full application vinyl applied to aluminum substrate and mounted to existing sign face. 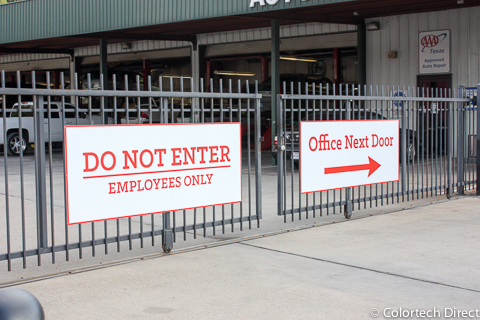 Custom print and cut vinyl lettering applied to aluminum substrate. 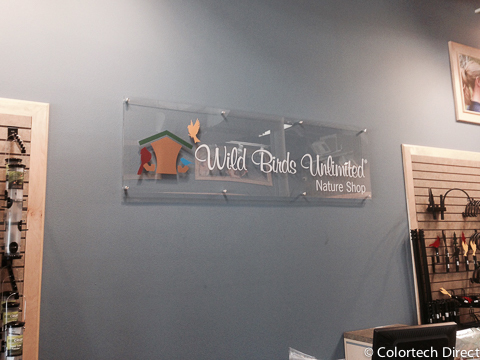 Custom vinyl applied to PVC sign blank to be inserted into existing monument signage frame. 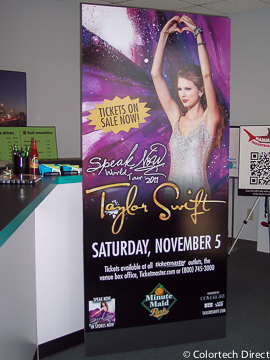 This free standing signacade can be ordered in black or white and will dispaly on one or two side inserts. 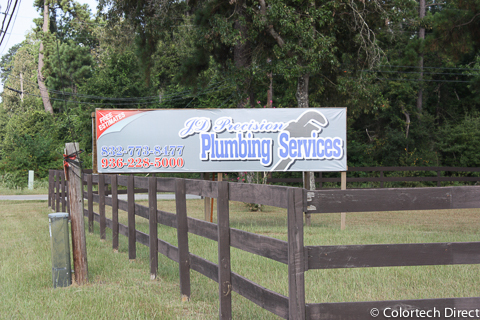 Full sized 4'x8' vinyl print applied to 1/2 inch gatorboard. 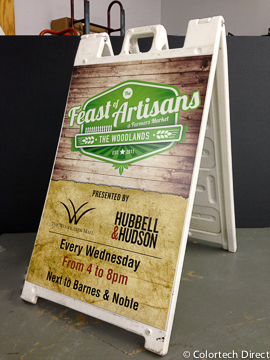 Custom print and cut logo applied to clear acrylic and mounted with stand off posts. 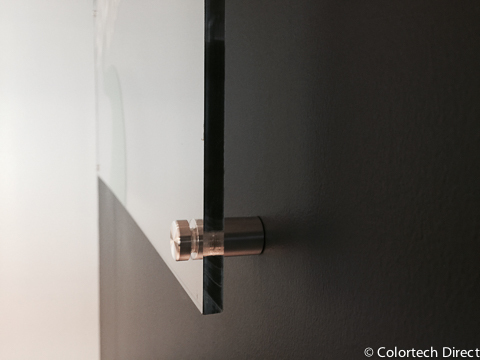 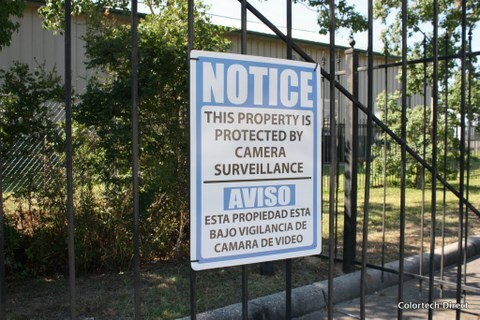 Close up of sign stand off hardware. 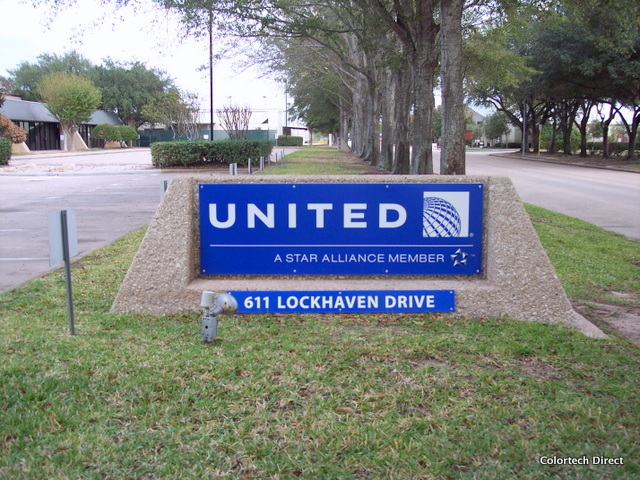 Custom logo and lettering on blue PVC substrate mounted to existing monument sign frame for United Airlines corporate headquarters in Houston,Texas. 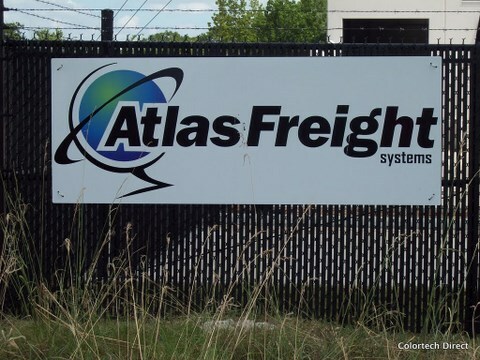 Sign printed on reflective vinyl mounted to aluminum sign substrate. 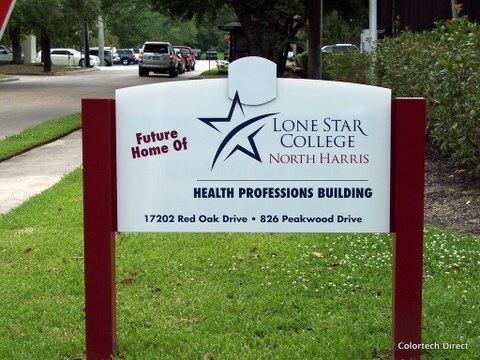 Custom logo and lettering on white PVC substrate mounted to existing monument sign frame with stand off sign mounts for Impact Printing in Conroe, Texas. 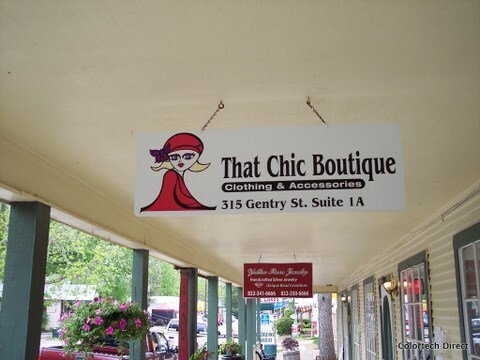 Full color custom vinyl on aluminum sign blank with pre-drilled holes for hanging. 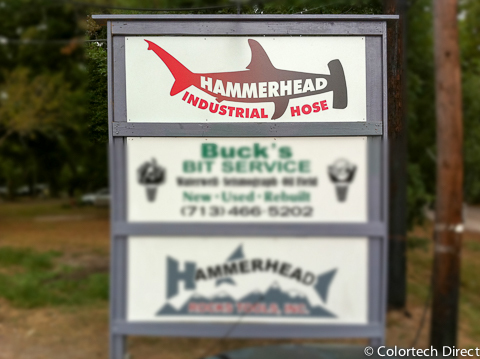 Custom vinyl print on aluminum sign blank with holes pre-drilled for installation. 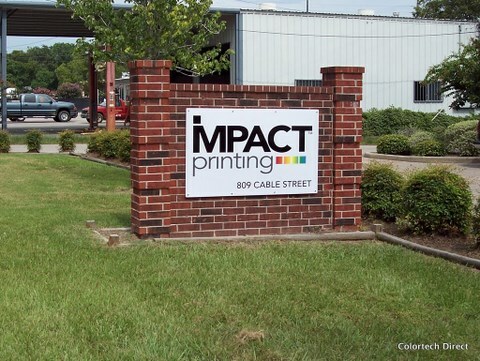 Vinyl applied to monument signage temporarily until permanent signage was installed. 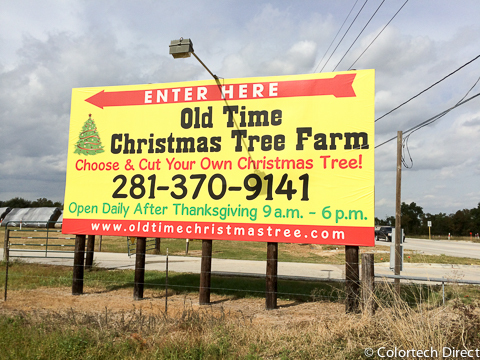 Soft Signage created with a banner over an existing sign frame. 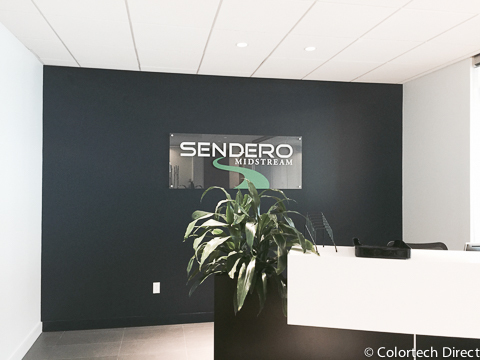 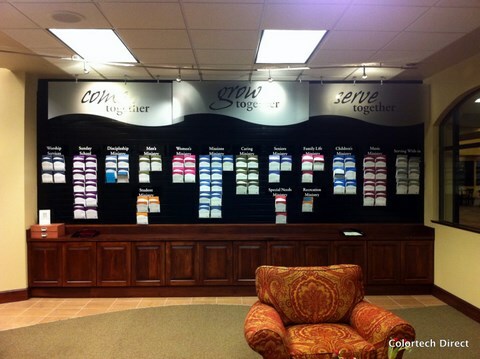 Custom cut acrylic wave signs panels in a full wall display. 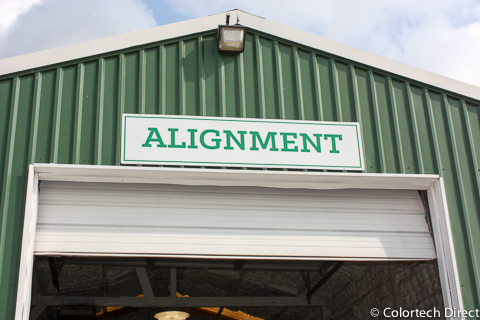 Click HERE to request an estimate for your Sign project.